As the owners of 1st Alert Carpet Cleaning, we want you to be super-pleased with every carpet cleaning and upholstery cleaning job we do. So every job comes with our iron-clad, risk-free guarantee. What does this mean? Simply this: if you aren’t happy with our work, we’ll re-clean the area for free. And if you’re still not satisfied you can have your money back. Nothing is more important than your complete and total satisfaction. We stand behind every job 100%. 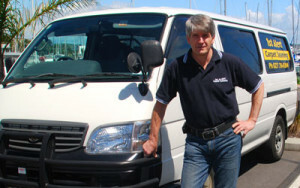 by Craig McGregor – 30+ years carpet cleaning experience. With an unsurpassed commitment to excellence, 1st Alert Carpet Cleaning have the passion and energy to apply creative thinking to solve your carpet cleaning and upholstery cleaning problems. We’re not satisfied until you’re satisfied. Mention our web site when booking your carpet cleaning in Auckland and receive every 5th room or every 5th seat cleaned absolutely FREE.